True rare and collectible pocket PATEK PHILIPPE watch with the rarest ‘A-Tact’ feature and a title ‘Count N.N.Wittgenstein’, comes with an original golden chain and the official certificate from the Patek Philippe museum. 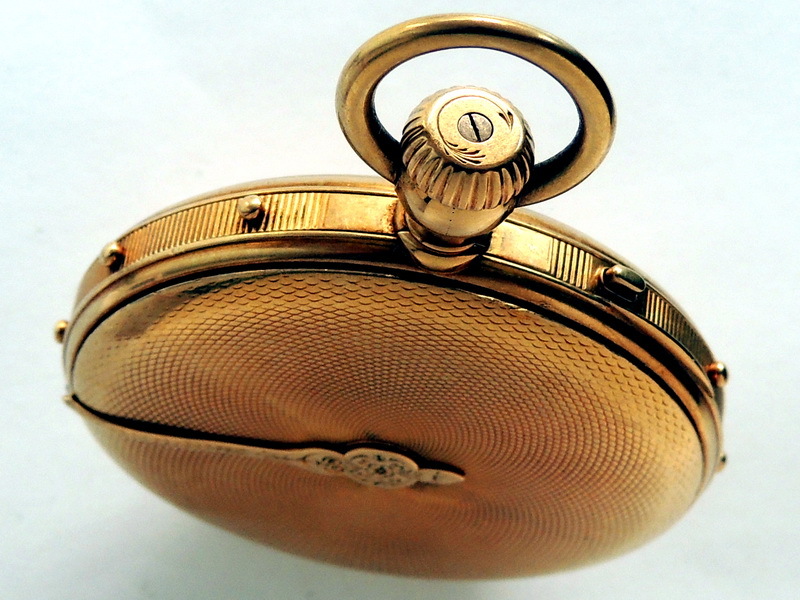 The ‘A-Tact’ (tactile time) feature, which was invented by Abraham-Louis Breguet in 1790s, is a special type of a case with touch-pieces on the side. 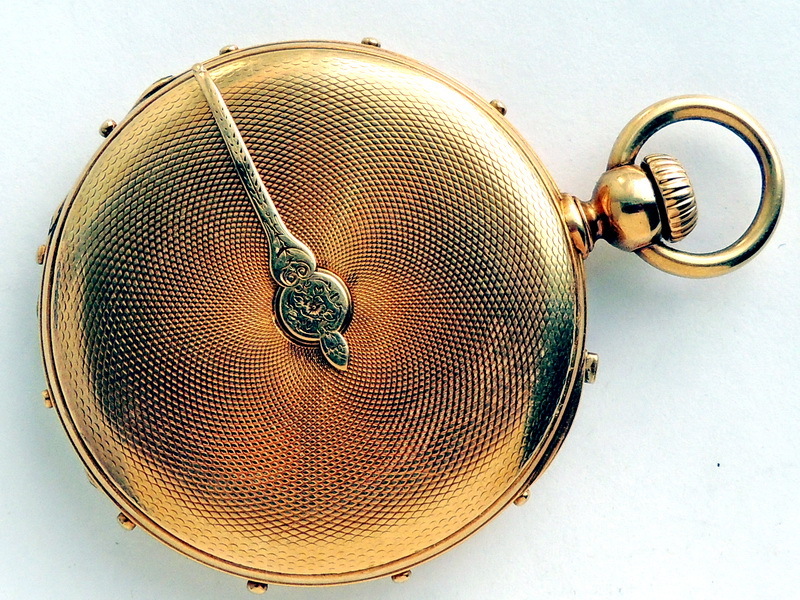 The watch hand on the cover allowed the user to read the tactile time using the fingertips. The function was specific for the higher polite society, to read the time without taking the watch out, and to not act aghast the etiquette when the conversation is boring and you may be short of free time. 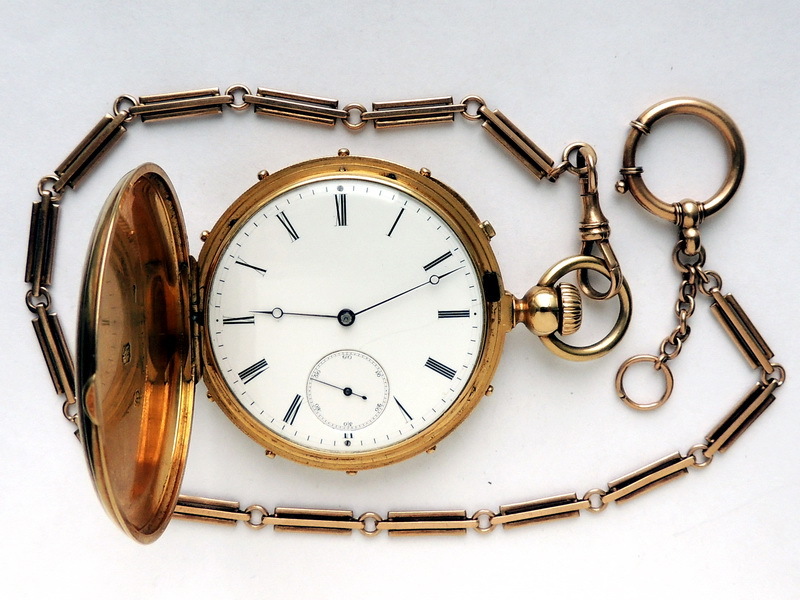 See an example of Josephine Bonaparte watch, the masterpiece’s auction value goes up to 1.5 million dollars. The serial number suggests us it is quite old, it belongs to the very first series, and as mentioned in the catalogues it corresponds to the 1855-1860 years. 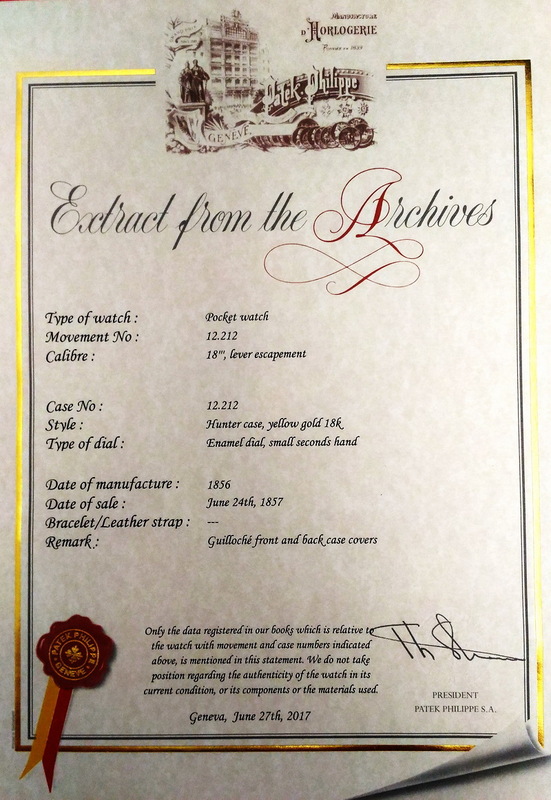 The Geneva museum of Patek Philippe confirmed that the watch is original and sent the official extract from archive as requested, which says that the watch was finished by 1856, and were first sold 24th of June, 1857. You can also view the photo with that document. 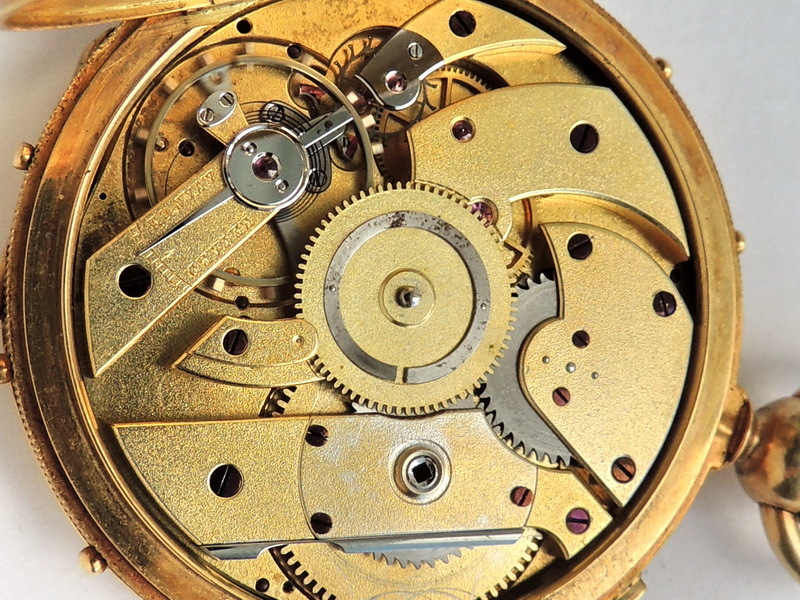 In the earlier watch variant of the manufacturing caliber called ‘Gondolo’ with a special extension – an additional petal coupling gear powered by gear system which moves the watch hand on the back cover. The caliber is quite typical and recognizable, like on the example. 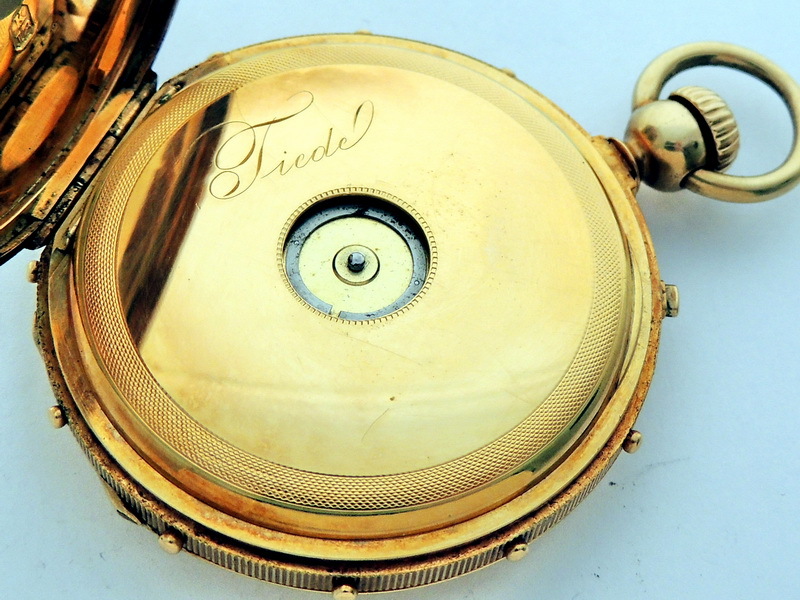 The finish was, most likely, done by a chronometer manufacturer based in Berlin, Christian Friedrich Tiede (1794-1877), a valued mechanic and inventor, who is also the author of the most precise-quality chronometers, which are stored in a German watch museum. 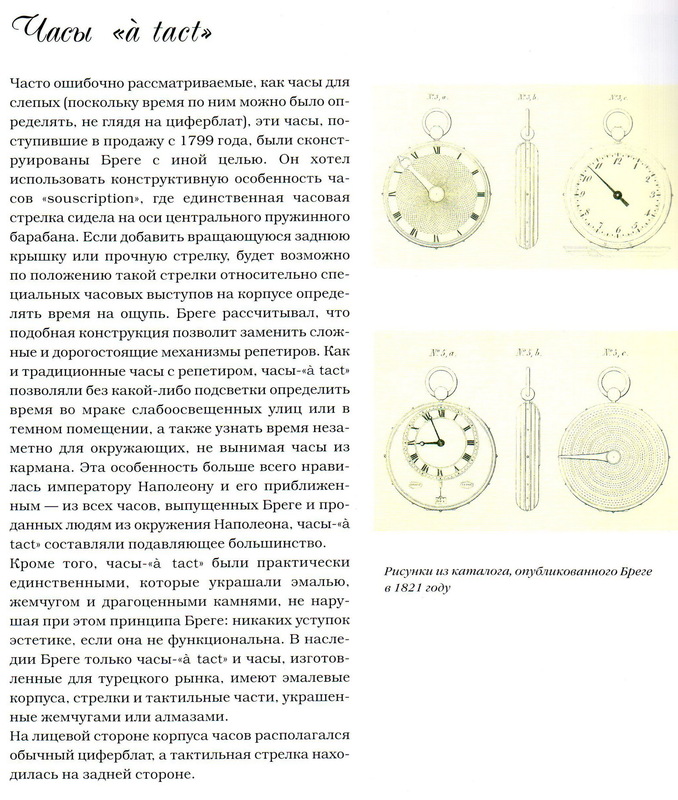 No Patek printed catalogues or linked sources mentioned any of their masterpieces which have this feature, which means that it was most likely to be added individually for the King Wittgenstein and his family, which was traditional for the higher society, there is a small research about it below. 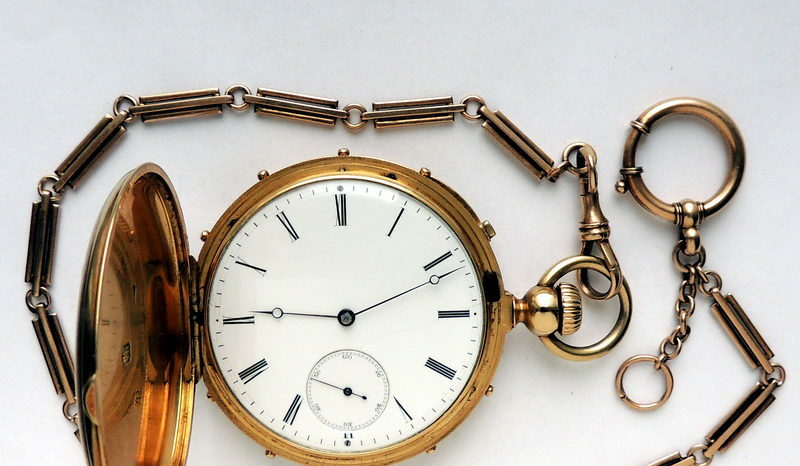 Appearing to be more than 160 years old, the item is in excellent condition and is perfect for any collection. Taking the uniqueness of the feature in account, combined with the Patek Philippe brand, the watch can be considered as an. 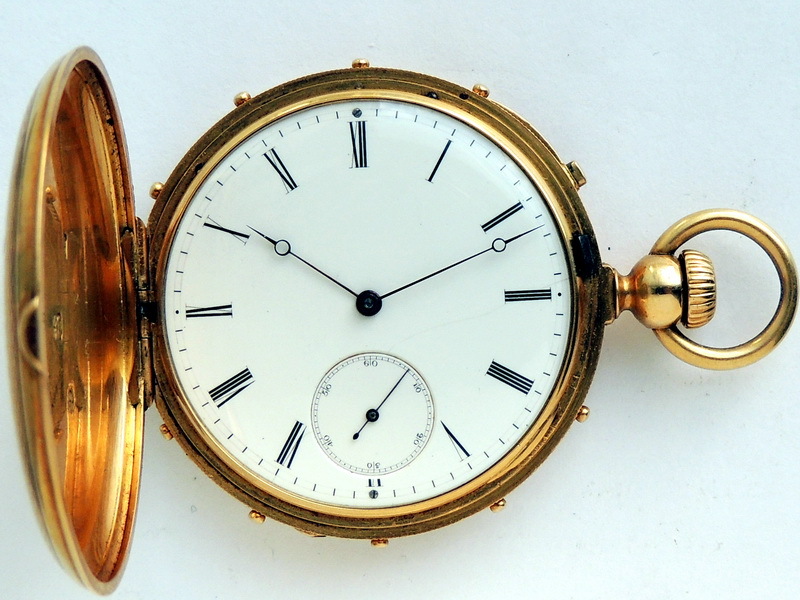 The fact that the watch is very rare on the world’s auction makes the price of the watch increase significally with time. What do you think would be the price you may get for this collectioner’s Patek Phillipe watch on a corresponding auction, taking in account the very rare, and likely single feature that their collections do not own? Apart from the listed features and its value, this masterpiece was filmed and travelled into the Holy lands, the Jordan. They were featured in the wonderful and wise film called ‘The Monk and the Devil’ by Nicholas Dostale as the golden pocket Breguet, which belonged to the devil called Legion (see video with snippets from the film). The masterpiece is in perfect technical condition as well, strongly ticking movement makes it a good example of an expensive valuable present, and a good daily accessory too. Original gold chain is included. 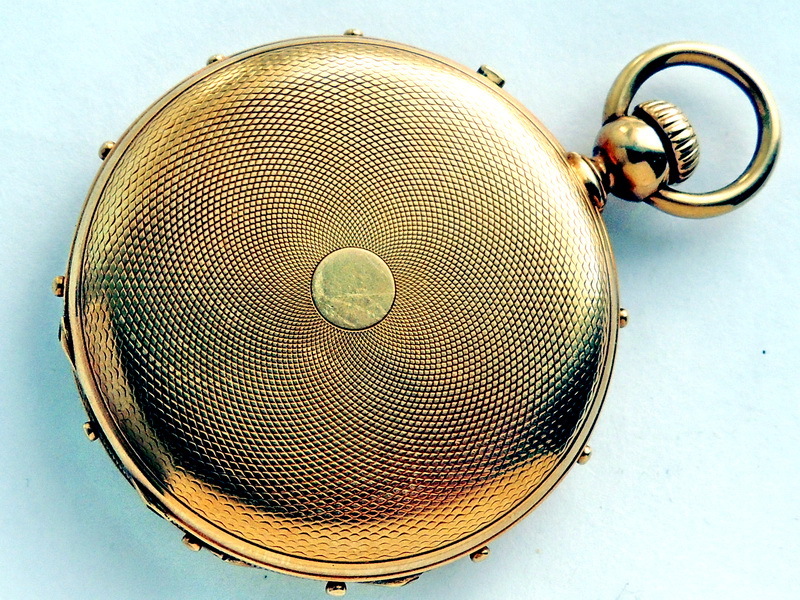 The enclosed-type case made from 18K yellow gold, cover and guilloche. The front cover opens up at a press of a lever, and has two inner covers behind it. 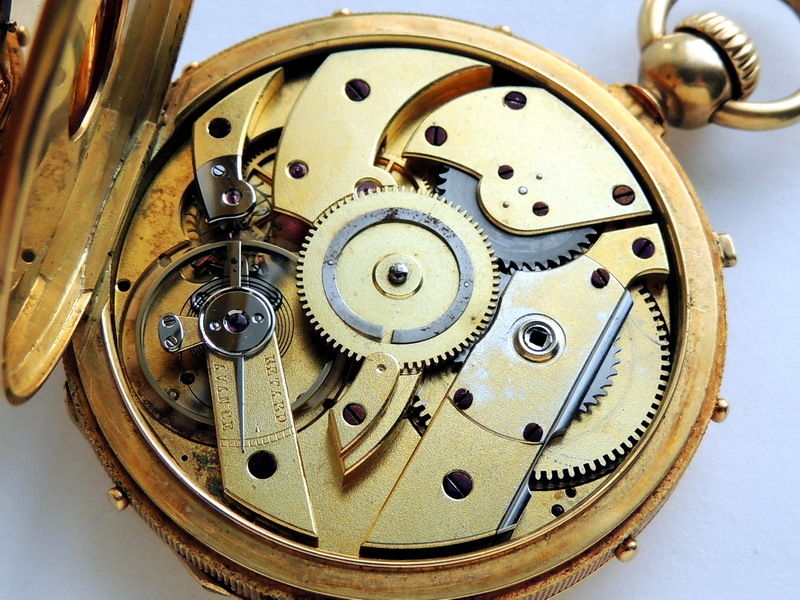 The diameter of the watch is 49mm, or 50.3mm with the tactile points, while the height of it goes up to 68mm. On the inside, you may see the serial number and the 18K gold sample too. It says ’Tiede’ on the dust cover (Christian Frederick Tiede) and the centre of the dust cover also features the pulley for connection with the outer ‘A-tact’ hand. The state of the covers is impressive: the joints fit tightly, while the cover opens up smoothly. The Sayn-Wittgenstein surname belongs to the German-Russian dynasty of the Sayn-Wittgenstein-Berleburg earldom. The German roots of the watch with the signature of Berlin’s watchmaker Tiede is another sign of the watch’s primary use: corresponding to the year, the watch occurs to be a birthday present to Nikolaj zu Sayn und Wittgenstein. Anyway, the sign is not the main value factor, although it adds a vast historical cost, when a proper research is done on the royal family members. 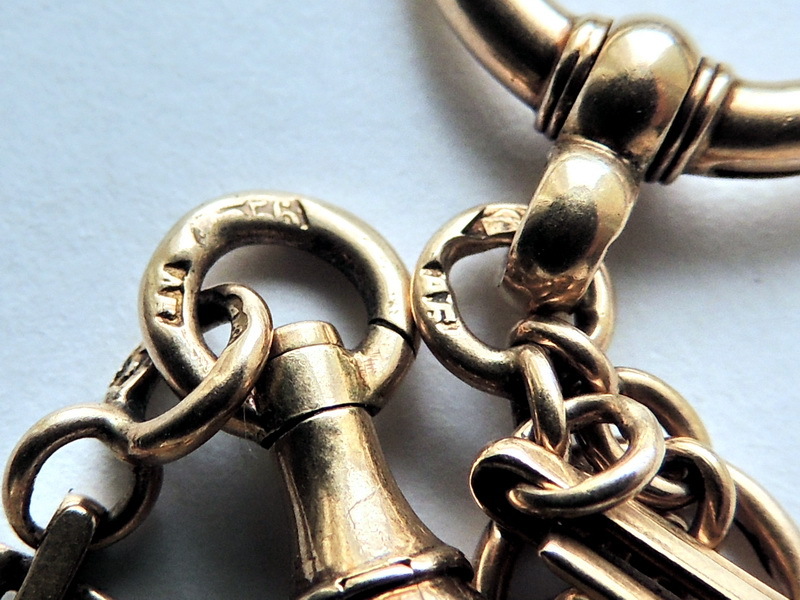 The chain also deserves proper attention, it’s got a gold sample of ’56’ and manufacturer’s stamp ‘AB’. 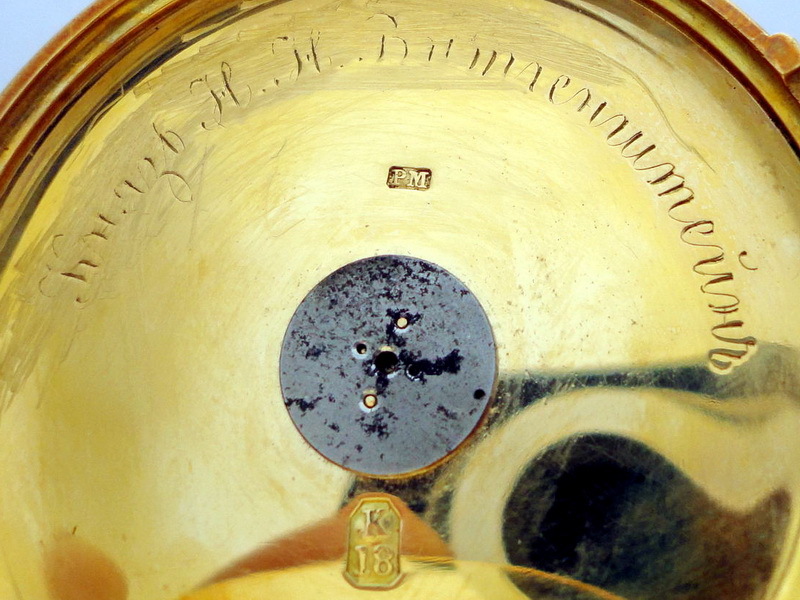 The gain is original, it comes with the watch, while the ‘AB’ stamp of the corresponding year is found to stand for ‘Anna Bilibina’ (see note “Bilibina” in the knowledge archive), Kaluga. 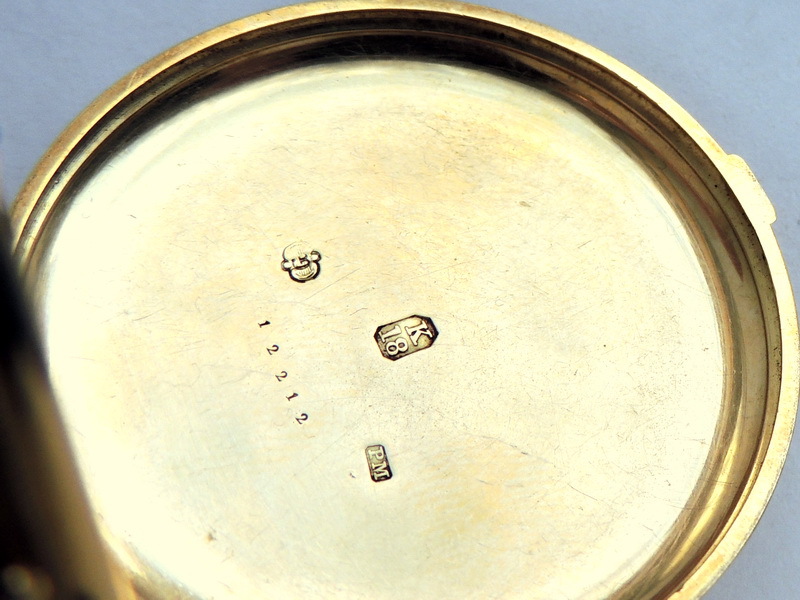 The Bilibines brand sold gold and silver jewelry and items, it also had its own manufactory and even a unique silver stamp as well. The original enamel watch face with fine Roman numbering and a small face displaying seconds. The thin hands with dark-purple blueing, and the smaller second display fitted at 6 o’clock position. 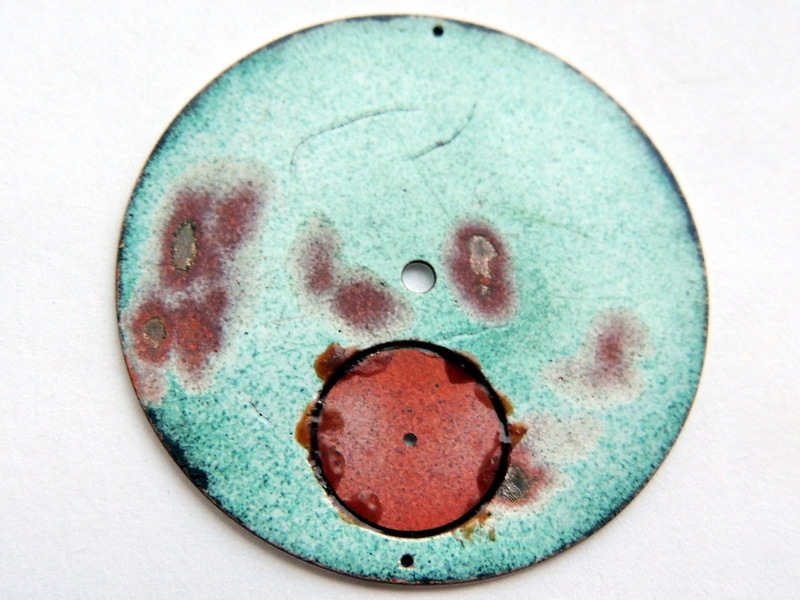 The mineral glass is ultra-fine, while being slightly curved, the enamel is in original state without restoration. The Patek Philippe early calibre Swiss movement featuring 19 rubies, gold plated parts and the bridge with dark-blue screws. The ‘wolf tooth’ winding wheels are coupled up with an expensive balance featuring adjustment screws and bi-metallic thermal compensation. The extension for the outer watch hand, the masterpiece is in excellent technical condition, stable and precise running. 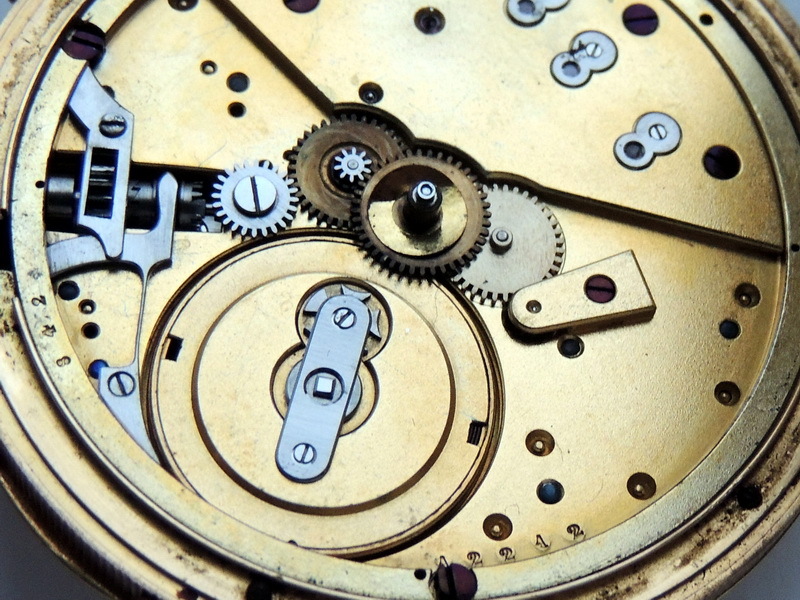 The watch is professionally serviced, works perfectly and can be happily worn daily.